Current Workout Playlist + Gym Essentials! Hello everyone, today I thought I’d talk about something thats quite important to me: what I listen to when I’m at the gym. I could not even think about going to the gym if I didn’t have my iPod shuffle or my phone with me! I’ve been a member of Pure Gym since the beginning of the year and I was doing really well. I went to the gym about twice a week and I was pretty proud of myself. I did get a little ill in April/May time so I wasn’t able to go for a while, and I missed it so much! I’m finally getting back into the swing of things so I thought I’d share some of my thoughts and feelings about the whole situation! Luckily for me, the gym is a 5 minute walk from work so I try go to before I head home for the evening. This doesn’t always happen if I’m finished late and what not but I’ve been making the effort lately. I only have 5 essentials for the gym which might seem a lot but to me its the important things! 1. Music. Either my phone or my iPod with some decent upbeat songs. 2. Deodorant. I don’t think I really need to explain this one..
3. 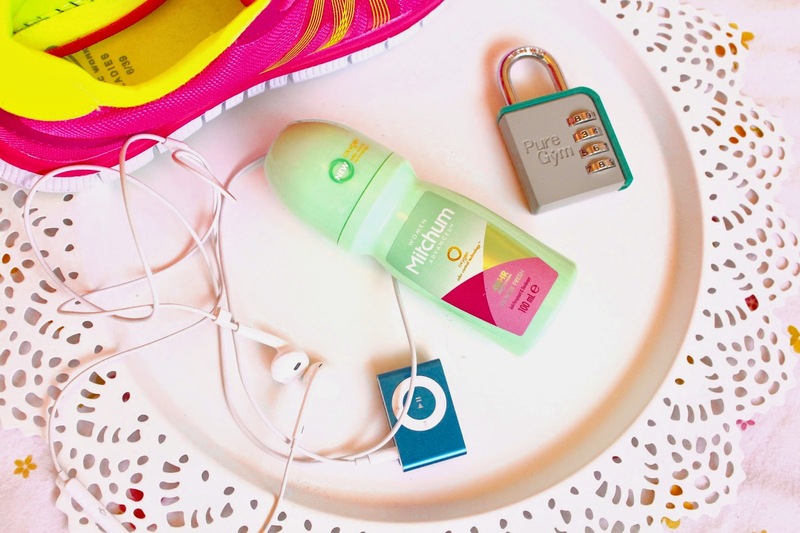 Body wash. For all the post workout sweat that needs to be removed! 4. Face wipes. To take of my makeup quickly before the gym and to refresh things afterwards. 5. Water. I always have a full bottle when I go to the gym and I make sure to replenish after exercising too! My current playlist consists of some pretty good running songs right now.. Heres the top 15! Hopefully this inspires your workout playlist, let me know if you have any favourites to listen to at the gym! Previous Post Empties // Products I’ve Used Up!